Gloria Trevi performs "Ellas Soy Yo" at the Latin American Music Awards at the Dolby Theatre on Thursday, Oct. 25, 2018, in Los Angeles. 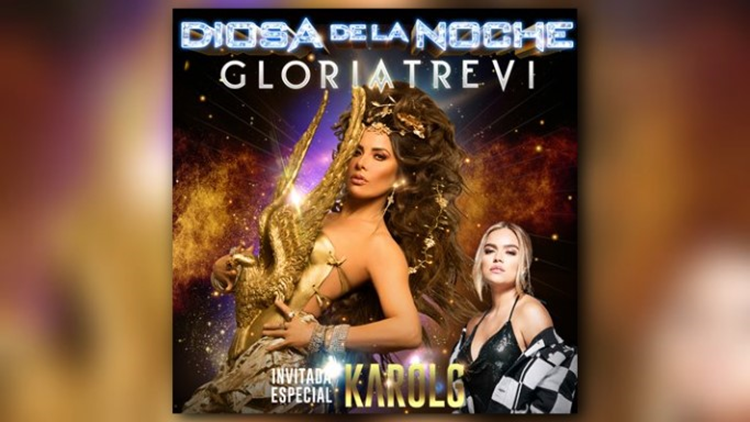 The ‘Diosa De La Noche’ Tour will bring Gloria Trevi and Karol G to the Mile High City in September. DENVER — The "indisputable queen of Spanish-language music" is returning to Pepsi Center this fall. Gloria Trevi will bring her ‘Diosa De La Noche’ Tour to Pepsi Center on September 18. The North America tour, which will stop in 23 cities, also features Colombian pop star Karol G.
Tickets for the Denver concert go on sale Friday, February 22 at noon at AltitudeTickets.com, LiveNation.com or 303-893-TIXS. Citi cardmembers will have presale ticket access beginning Tuesday, Feb. 19 at 10 a.m. until Thursday, Feb. 21 at 10 p.m. at CitiPrivatePass.com.